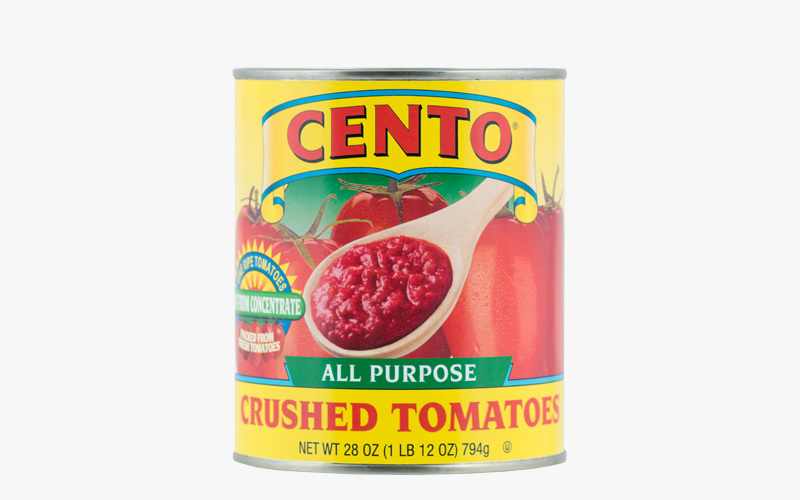 Cento All Purpose Crushed Tomatoes are your "everything tomatoes", a pantry staple that is versatile enough to use in all of your favorite recipes. These vine-ripened tomatoes are picked, steam peeled and fresh packed to preserve freshness and flavor. Crushed tomatoes have a chunky, smooth consistency, the texture falling between diced tomatoes and a smooth tomato puree. Our crushed tomatoes are packed fresh and never from concentrate, non-GMO and BPA free. 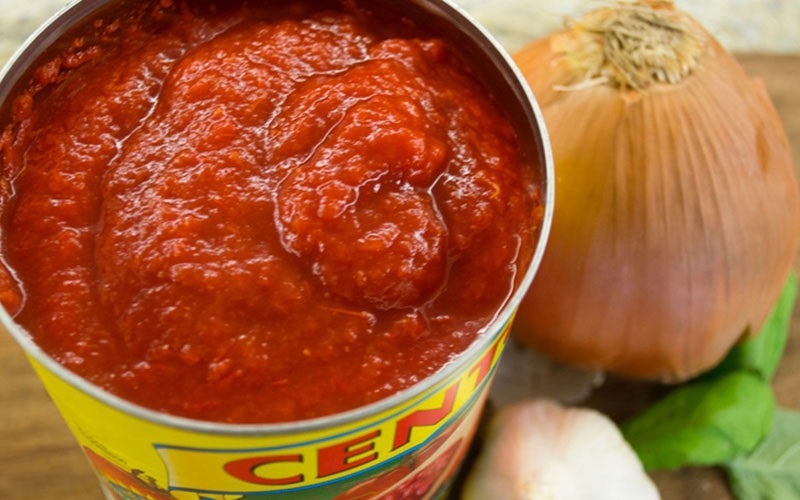 Cento All Purpose Crushed Tomatoes haven’t changed in more than 50 years, the recipe for this favorite remains the same as it did when our family first began selling premium Italian products. The popularity of our crushed tomatoes helped pave the way for our other authentic Italian products, such as our certified San Marzano tomatoes. A Philadelphia favorite, crushed tomatoes are most famous for creating a slow simmered Sunday Sauce deep in tomato flavor. You can also use these tomatoes for simple marinaras, pizza sauce, meat ragus, chili, stews, tomato curries, tomato-based soups and a variety of your favorite dishes. Taste the difference quality makes with Cento All Purpose Crushed Tomatoes. “Trust Your Family with Our Family”. Use Cento All Purpose Crushed Tomatoes in our Bolognese recipe, a thick, full-bodied meat ragu that originated in Bologna. 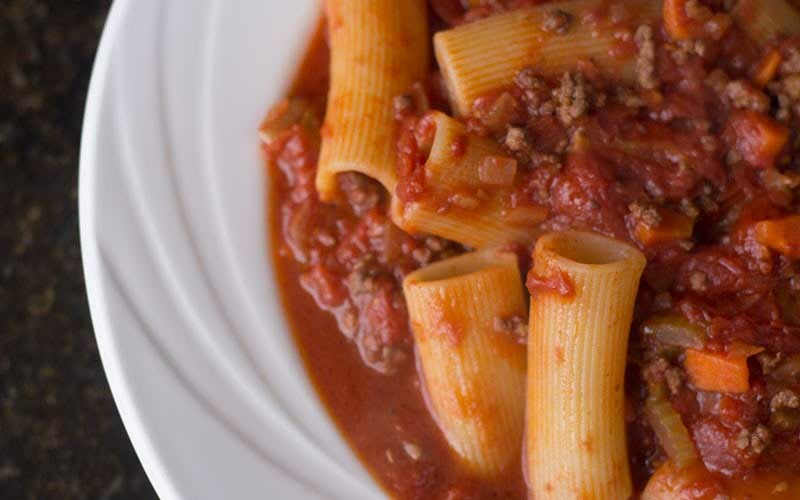 This hearty sauce pairs well with larger pastas such as rigatoni and bucatini.